As the big data deluge continues across the world amidst privacy concerns, various groups are beginning to utilise it as a ‘force for good’. Astronomers are not far behind, applying their big data skills to tackle societal challenges. Challenges in public health, disaster management and environmental protection may be addressed by big data and related machine learning techniques. Machine learning is the process of training computers to pick out patterns in and categorise information – and its effectiveness increases when there is more data available. Big data is particularly relevant on the African continent, which will soon host the Square Kilometre Array Telescope. The first phase of the SKA will consist of hundreds of radio dishes, capable of testing General Relativity, detecting distant galaxies and measuring the Epoch of Reionisation. This will produce terabytes of raw data every second and be a major source of astronomical big data. One of the challenges is that there aren’t enough young scientists being trained in big data and machine learning techniques on the African continent. One of the goals of the SKA project is to build skills for handling the data within the African continent, contributing to development, instead of exporting the information to be processed elsewhere. This is where the Big Data: A Tool for Social Innovation workshop steps in. SKA South Africa, in collaboration with the OAD, private company BEEcube, the DARA project and other sponsors, coordinated this workshop in 2017. 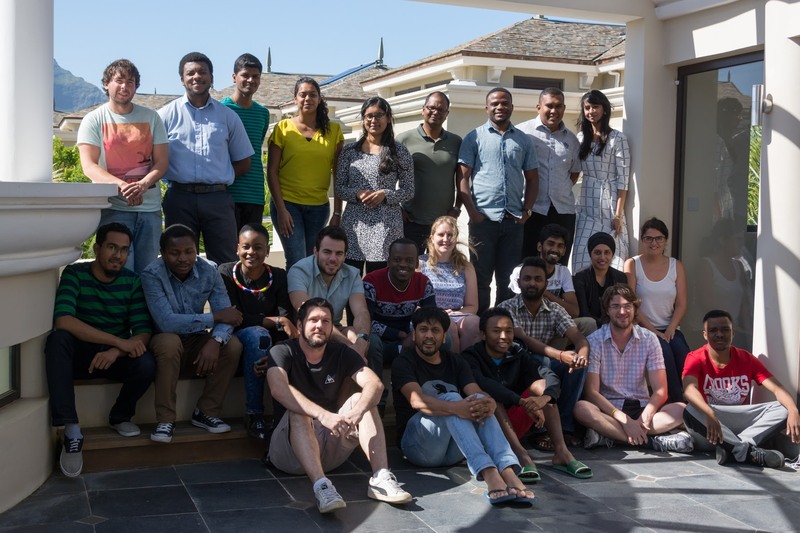 Nadeem Oozeer, the project PI, was inspired by the success of several previous OAD-funded Joint Exchange Development Initiative (JEDI) workshops and realised that this model would be ideal for teaching big data skills. The JEDI model brings together experts from research and industry to share their knowledge with participants by tackling projects. They focus on an interactive, informal learning environment rather than lectures. These workshops have been valuable for human capacity building in South Africa, Namibia, Kenya, Mozambique and Mauritius. The workshop took place in Flic-en-Flac, Mauritius, in August 2017. Twenty five participants, ranging from undergraduate students to postdoctoral researchers from nine different countries attended the workshop. They were placed into groups to work on challenging projects under the guidance of expert teachers and tutors. The teams took on projects across fields – from analysing YouTube comments to understanding Radio Frequency Interference in astronomical observations – to understand the versatility of big data. They were encouraged to use their big data skills outside the realm of astronomy to solve the problems they face in their communities. Organisers used local suppliers for food, accommodation and transport – enriching the local economy and providing the participants with a taste of Mauritian culture. The workshop was also paperless, keeping environmental concerns in mind. Participants got to know each other through the informal learning environment and social aspects of the workshop, which is crucial to build professional connections across African countries. Several of the workshop participants are now using the skills they learnt during the workshop for their research activities or in industry jobs. This workshop succeeded in training young scientists from across the African continent to work with big data, opening up economic opportunities beyond astronomy. The above text was written by Munira Hoosain for the OAD Projects Booklet. Big Data in Astronomy is one of more than 120 projects funded by the OAD globally since 2013. Burnham-King Lauren, Ayadee Avinash, Rossenkhan Tasneem, Gamella Carmen. Dishanand, Dufourq Emmanuel, Mosiane Olorato.